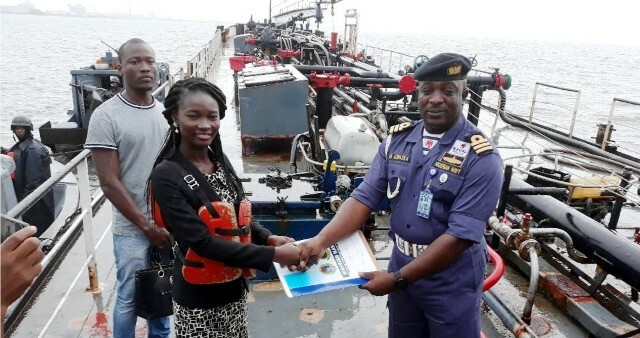 Representative of Azamusa Nigeria Limited, Ms Florence Ajiwaiye, with Acting Commanding Officer, Forward Operating Base, Bonny, Cdr. Ibrahim Gwaska, at the handover of damaged MV Ogo Oluwa to the firm in Bonny, recently. A renowned boat operator in Rivers State, Mr. Samuel Epeya has lamented the high cost of buying a boat to ply the waterways. The operator said that the high cost of acquiring a boat has thrown some drivers into unemployment. He stated this to The Tide yesterday in Port Harcourt while reacting to the hike on the cost of buying used boats. According to Edeya, the cost of acquiring a new engine boat ranges firm N6m (six million naira) and above, while fairly used cost N2m (two million naira). The driver appealed to the state government to intervene into their plight and subsidise the cost to enable operators buy boats. He explained that the high cost of boats had forced drivers and boat owners to abandon the business and seek alternative means of livelihood. On incessant boat mishaps in the state, Epeya called on the ministry of transport to organise a workshop on safety for drivers to reduce accidents even as he decried the dumping of debris in the river by Port Harcourt residents. He lauded the deployment of Marine Police and Navy to the Okrika jetty to curb insecurity.